1 year and 6 days after everything began, 371 days after my anxiety had burst sweeping away most of the life I had known until then, it was time to say goodbye. By mid-december it was time for (what I thought it was going to be) my last therapy session. As you may have already read, I got back for some more sessions during the following spring, but at that time, December was the planned time for the ultimate closure of my therapy. As all of the other sessions, and understandably even more than that, the closing experience of such a journey is a very delicate moment. Needless to say, my therapist knew it. And, most of all, she knew how to handle it. The same wasn’t true for me: I was pretty nervous that morning and I was quite unsure about how I was going to feel during that hour and especially during the following days, weeks and months, without my usual appointments there to support me the way they had been doing for the previous year. I had been thinking about that last meeting for quite a few days and I had been pondering the idea of presenting my therapist a gift that could express all of my gratitude for her and for the work she had done with me, knowing that my words were surely not going to be up to the job on that morning. 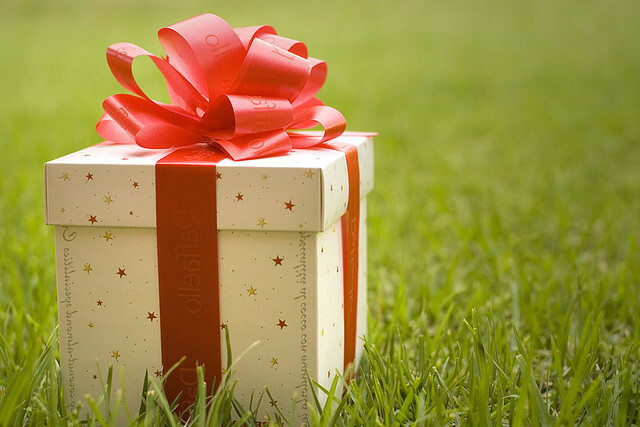 Buying presents is never a simple task, but it proves way harder when it comes to picking the right one for your therapist. First of all, I didn’t know whether she was allowed to accept presents from her patients. I know nothing about therapists’ code of conduct and I was determined to avoid any possible cause of embarrassment either for her or for me, especially on that last appointment. So the first constraints were set: nothing too expensive was going to be considered and the risk of having it rejected anyway was to be taken into account. Secondly, gifts are supposed to deal with the receiver, with her life, her passions, her history, her dreams. But as anybody who’s been in therapy knows very well, no matter how strong and deep your relationship with your therapist is, you have to acknowledge that, while she knows everything about you, you just basically know nothing about her. You may assume that she’s married because of the ring on her finger, you may assume that she loves light blue because of her eye shadow and nail polish, you may even assume where her family comes from by the sound of her surname, but that’s it, nothing more than that. Here we go with a new constraint, then: your gift is either going to be totally impersonal, or if it’s going to be personal, it will have to deal with you. To sum it up, I wanted to buy something cheap, yet valuable, that could say something about me, the journey I had been going through and my gratitude for her, something that she could appreciate and possibly like, even if I had no clue about her taste for anything. After thinking of dozens of possible gifts and discarding each of them, I remembered that we’re both Italian after all and, therefore, something edible was going to do the trick. It resonated inside of me. For all my life since I can remember, I have been avoiding taking risks in so many aspects of my life, I’ve been over-protecting myself from menaces that exist in my thoughts mainly, I’ve been escaping emotions and situations that could arise them, just to realize – when anxiety struck violently – that the more you deny your emotions the space they deserve, the more you are exposing yourself to a life of dissatisfaction, suffering and pain. So that simple sentence on that small box hit some cords inside the part of me that was still learning and processing the lesson. Remember to dare! That’s how you’ll know that you have lived. Happy to have spotted my little perfect gift, I bought it and stored it in a drawer, waiting for my last session to give it to her. I was still a little uncomfortable at the idea of looking silly, of not knowing when, how and with which words I should have given it to her, of having to consider the possibility to have it rejected because of some professional code of conduct I didn’t mean to break. I managed to pause my insecurities for a while anyway, waiting for that mid-December morning, in which – like it or not – I was going to close a very meaningful phase of my life.